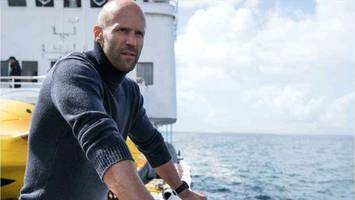 If there’s been a surprise box office smash this summer, it may very well be The Meg – the delightfully over-the-top megashark disaster movie, in which Jason Statham goes toe to flipper with a prehistoric megabeast, seemed all but silly cinema fodder on the face of things. However, as we found out here at One News Page ourselves, the movie is in fact hugely entertaining – we awarded it a 4 out of 5 – and it seems that cinemagoers are voting with their feet as the movie has raked in a stunning amount of cash on its opening weekend in North America. Disaster movies haven’t really fared that well in recent times – consider the likes of Geostorm and the disastrous Hurricane Heist – it seems that there is a very specific audience for these movies, and that, for the most part, these viewers can be reached at home via streaming or certain cable channels (that, at least, is how the likes of the all-out lunacy in the Sharknado series has retained its enduring appeal). The Meg, however, appears to have been a different kind of beast entirely – promoted massively and marketed with a tongue in its cheek, the Statham vehicle defied expert odds to a colossal extent this past weekend, defying the predicted haul of around $20 million by raking in a surprising $44.5 million instead. At the time of writing, the movie has currently earned $150 million globally from its opening weekend, making prospects for breaking even looking very positive indeed. It’s thought that the movie will need to make around $320 - $400 million altogether to offset marketing costs, meaning that many will be eyeing box office receipts very keenly indeed in the weeks to come. What is it that has driven The Meg’s popularity? For one – the star power in Statham – and for another, the sheer goofiness of the concept. It’s a similar situation to that of deliberately bonkers action movie Snakes On a Plane – it’s distracting fun that knows it’s being over-the-top – and it’s this charm that has led it to receive positive reviews from around 50% of critics. The other 50% aren’t so sure about the appeal – but it appears audiences are very keen to say otherwise. Knocking Mission: Impossible off its perch this past weekend, The Meg is easily this summer’s biggest cinematic surprise.